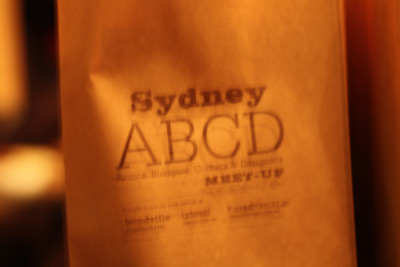 We had an *amazing* turnout last night for the first Sydney ABCD meetup! 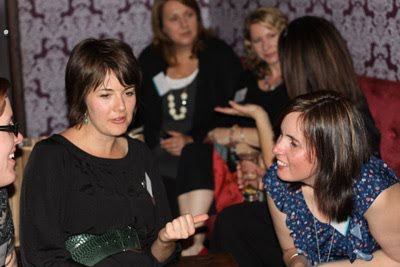 30 fabulous women from around Sydney met at The 3 Weeds in Rozelle for a relaxed chat. It was so great to finally meet the faces behind the online names and everyone was truly so nice. A few more photos are up on the Facebook page (feel free to add yours) and we'll be putting up a poll to vote for favourite goodie. And oh, the ABCD goodie bag was amazing. Stay tuned and I'll share all the creative things we shared. Sarah (Twice Designs) * Kate (Katie Crackernuts) * Jaclyn (Little Paper Trees) * Melinda (Paperklip Designs) * Jen (Paper Lion) * Nina (puka puka) * Jessica (Oscar & Ruby) * Fiona (Fiona Kate) * Sharon (Pepper Stitches) * Anika (Miss Luzi Design) * Kate (Another Donkey Design) * Anastasia (Anastasia Drawing & Dreaming/Percival Road Designs) * Sally (Jambo Chameleon) * Michelle (Shelbyville) * Amanda (Calico & Co) * Melissa (The Art of Teddy Bears) * Saffron (Saffron Craig Designs) * Tara (Dudley Redhead) * Mindi, Leezar and Manuela (Dandi), Kristen (Lilypad Designs) * Fran (Miss Alison Regrets) * Janette (My Sweet Prints) * Michelle (Me We) * Svenja (identitat) * Leanne (Mrs A In The Cove) * Britt (Stitchy Britt). See you next time (Feb 2011) and at markets/Brown Owls/online in-between. 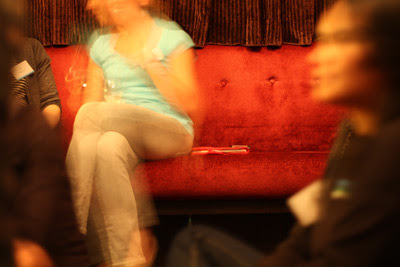 For more information on ABCD meetups in Sydney and Brisbane, check out the Facebook page and here on Bondville. Big thanks Steph and Lisa for organising such a great event. The venue was perfect, company excellent and the goodie bag was goodie-lishious! Can't wait for the next one. Only sorry i met such a small selection of the room - hopefully will see you all again at the next one. The talent in the room has inspired me! its was great fun and really fantastic to meet you Stephanie!! thanks for organising and hosting!! Thanks so much for a fab time everyone!